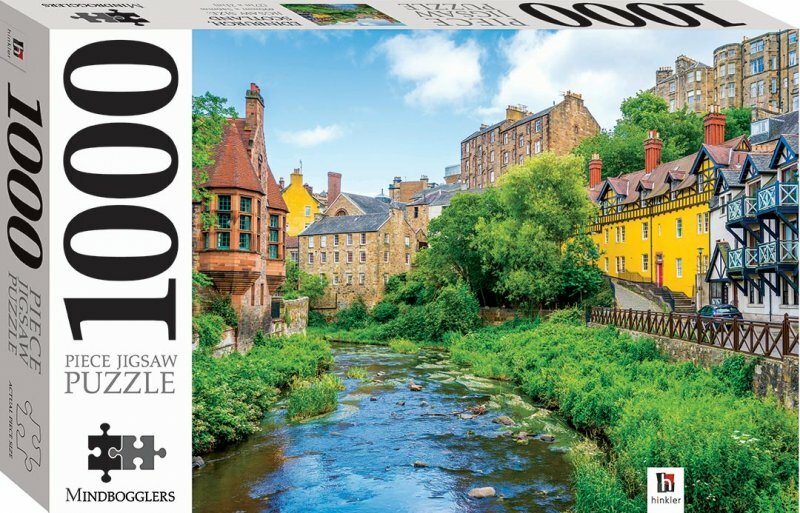 Mindbogglers 1000-piece jigsaw puzzles feature spectacular images carefully selected for their detail, composition, quality and beauty. This Dean Village, Edinbrugh, Scotland puzzle is great fun to put together, either on your own, with your family or in a group of friends. We've provided a second image of the puzzle on the back of the box, so everyone has a puzzle image reference close to hand.